Bring to life the client's products. We were asked to make this Apple style animation by our client Sifam Meters, to entice potential customers. The animation features eight of their meters which are used mainly in submarines. As the products are three-dimensional, with moving parts and lighting they were perfect for being brought to life in 3D motion design. 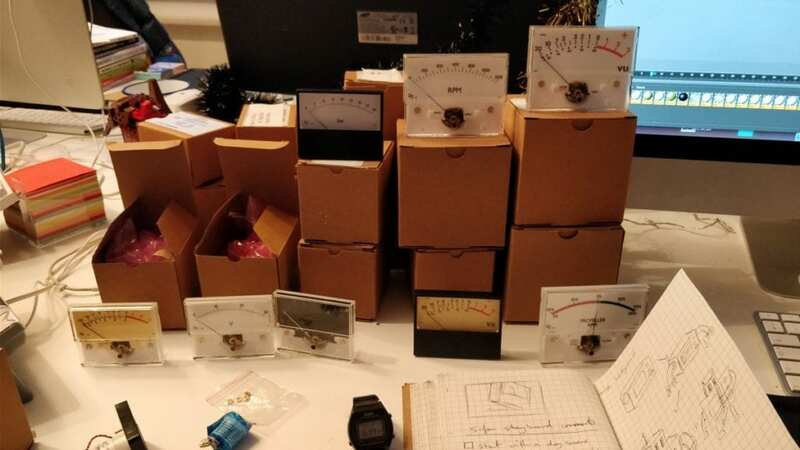 Our client sent us a box full of their meters. Below you can see the set up on our Senior Motion Designer’s desk. We started by drafting a story board as even with a short product video telling a story is crucial to keeping your viewer watching to the end. We made eight of the faces in illustrator and the patterned background of the Sifam logo. We mainly used Cinema 4D on this project, experimenting with different ways of lighting the LED faces of the meters. Choosing a lively sound track and timing the dial movements to the music really gives it the energy we wanted.